In the past two weeks alone, I’ve read three complete novels. You’re probably wondering how I can find the time to read that much with close to fifty piano students, three kids still at home, a household to run, and a novel to write, but you see—a drug addict will always find her fix. And that’s what reading is to me—a fix, an escape, a downright cheap and easy way to flee my often complex reality. I remember when I unearthed my deep love of books—or more aptly, my love of escapism. 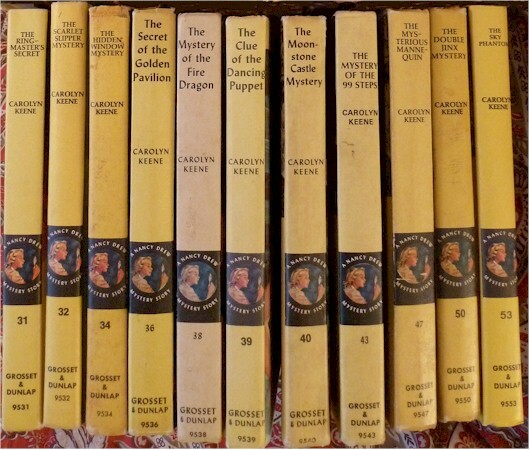 I was in the in the fifth grade, and although I had always loved reading a variety of books and authors, I hadn’t yet become obsessed with reading until I discovered The Nancy Drew Mysteries by Carolyn Keene on the shelf at the public library. I was instantly hooked. I fell in love with Nancy because she was everything I thought I wasn’t—pretty, self assured, smart and independent. She drove around in her little “roadster” solving mysteries with the help of her two close girlfriends and a father who loved and encouraged her. It was easy to lose myself in that idyllic utopia that had eluded me in my own life. 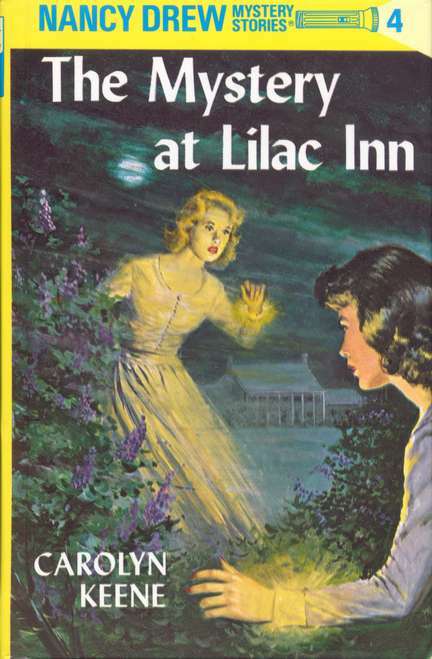 My fifth grade teacher soon became concerned that I was limiting my literary horizons by reading only Nancy Drew Mysteries. Mr. Robinson, whom our fifth grade class had fittingly nicknamed “Robin Red Beard,” because of his scraggly red beard, was a balding, pale-skinned hippie who wore earth shoes and faded Levis and although he had a booming voice, he was a gentle giant. 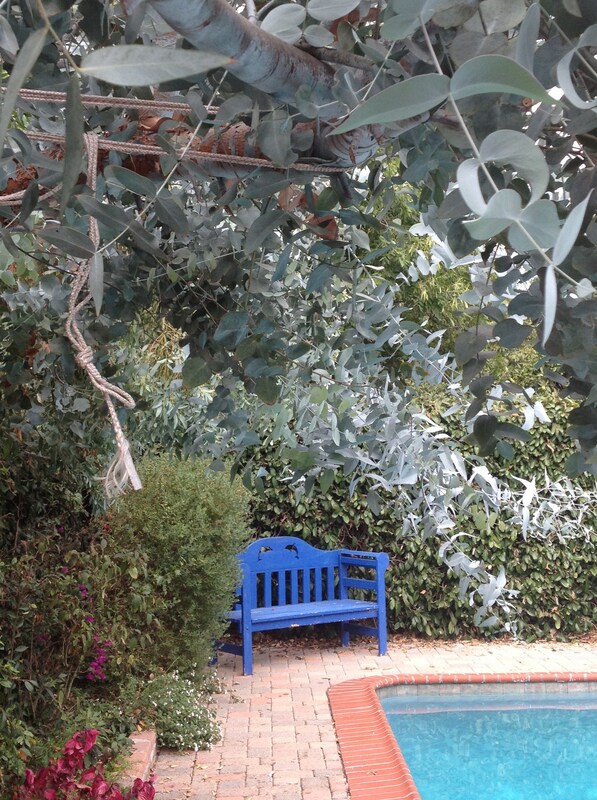 He took me aside one day and gently suggested it was time to branch out and read other genres. 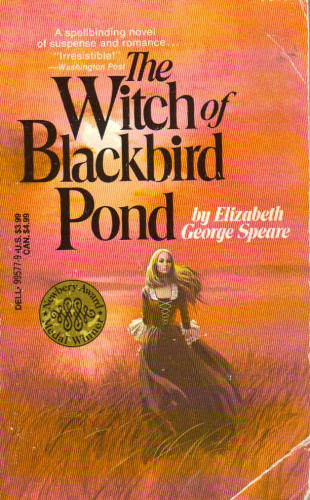 He then handed me a copy of “The Witch of Blackbird Pond” by Elizabeth George Speare. At first I resisted. Give up my beloved Nancy Drew for a book about a witch in the 1600’s? I think not! But because I wanted to please my beloved Mr. Robinson, I began to read it, and you can probably figure out the rest of the story. That was the end of Nancy for the time being and the opening up of a whole new literary world for me which included books like “Summer of the Swans,” by Betsy Byers, “The Mixed-Up Files of Mrs. 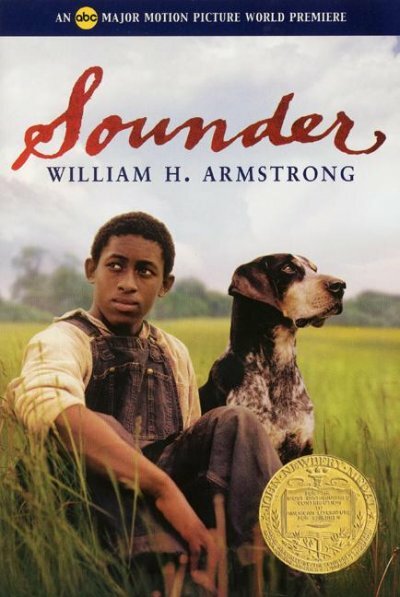 Basil E. Frankweiler” by E.L. Konigsberg, and “Sounder” by William H. Armstrong. I’m not sure if he even realized it, but Mr. Robinson had given me the key to the candy store. A few years later when I was in junior high, I secretly rekindled my love affair with Nancy Drew until one embarrassing day at the public library when the man helping me check out my tall stack of mysteries narrowed his eyes at me. “Aren’t you a little old for these?” he teased. I was mortified. “They’re for my little sister,” I said, stammering. I don’t even have a sister. “Sure they are,” he said with a knowing smile. 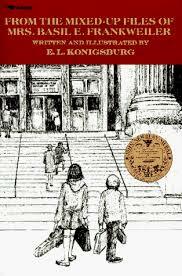 I was so humiliated that when I got outside the library I dumped the whole lot into the big metal book return box and didn’t pick up a Nancy Drew mystery until many years later when my two oldest girls were in elementary school. One Christmas I bought a box set of her mysteries as a present for them and I was so excited to watch them fall in love with Nancy that I couldn’t wait to see their excited faces on Christmas morning. My heart sank. It turned out that neither girl was interested in reading my beloved Nancy. The entire box set ended up on the shelf, untouched and unread until years later when I finally donated them to the same library where I began my love affair with her over forty years ago. You win some and you lose some, I guess. My daughters’ Nancy Drew turned out to be Harry Potter and that’s just fine. It doesn’t matter what they read, as long as they read. Thank goodness there are some addictions in life that are good for you. Three years ago today, I published my first blog post. To be honest, it was a momentous experience for me as it was my first real step in believing that I could actually refer to myself a writer. Since that decision to expose myself literally to the world (yes, pun intended) I’ve grown and changed quite a bit as a writer. When I first began blogging, I would spend three to four days working on a post, revising, amending, altering, and rearranging the words until there was no possible editing left to do (or so I thought.) My posts were usually WAY too long and often focused on the many deep thoughts I felt I needed to share with the world about my angst-ridden childhood or my skewed sense of self-worth. Whew—it was heavy stuff, and in retrospect I believe I owe you all a very big thank you for slogging through it and then being kind enough to leave me a comment. These days, I don’t post nearly as often as I did three years ago. 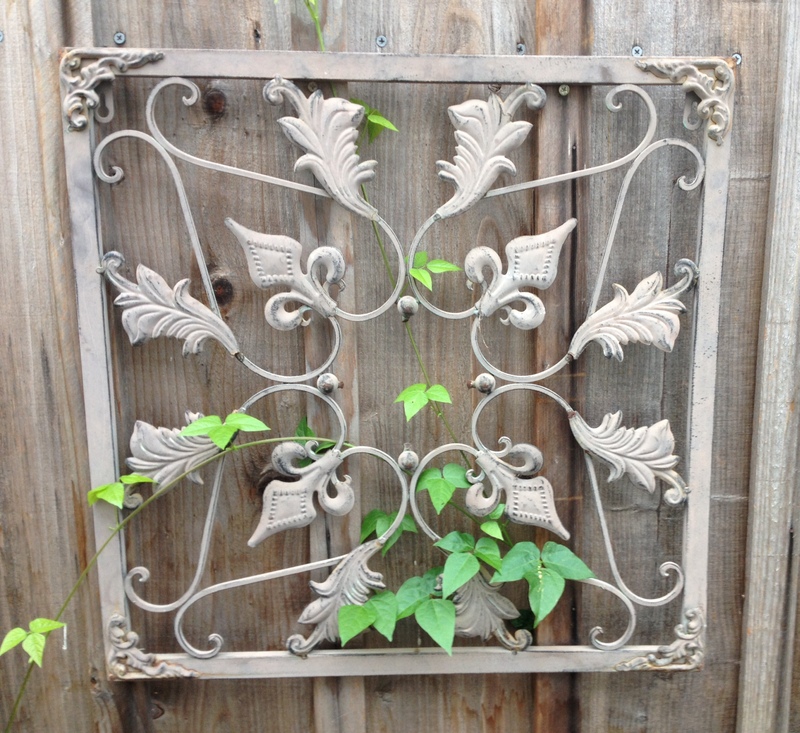 My latest posts are much shorter in length (you’re welcome) or maybe they’re just photographs. As I spend the bulk of my free time working on my novel, I usually don’t have the energy or time to write weekly posts and it’s almost a miracle if I publish once a month. I get advice from other writers that it’s important to keep at the blogging. You’ve got to get your name out there! Build up that fan base! Get that mailing list organized! That way, if my novel is ever published—wait—I take that back—WHEN my novel is published, I’ll be able to market it more efficiently. GAH! That’s the hard part—I hate that idea of posting just to get “out there.” I’m told that with all the changes taking place in publishing these days, authors have to really work hard to get their novels recognized, but the idea of self-marketing somehow rubs me the wrong way. And I don’t want to post just for the sake of posting—I want to share only when I have something really interesting to write about. Today, what I think is interesting and what I choose to write about is that it’s my three year blogging anniversary and I’ve come a long way since I started. I’ve met some very interesting people along this journey and I hope to meet many more. Thank you all for reading, for commenting, for supporting and for following me. And just so you know, each and every one of your names will be listed on the acknowledgement page WHEN my novel is published. 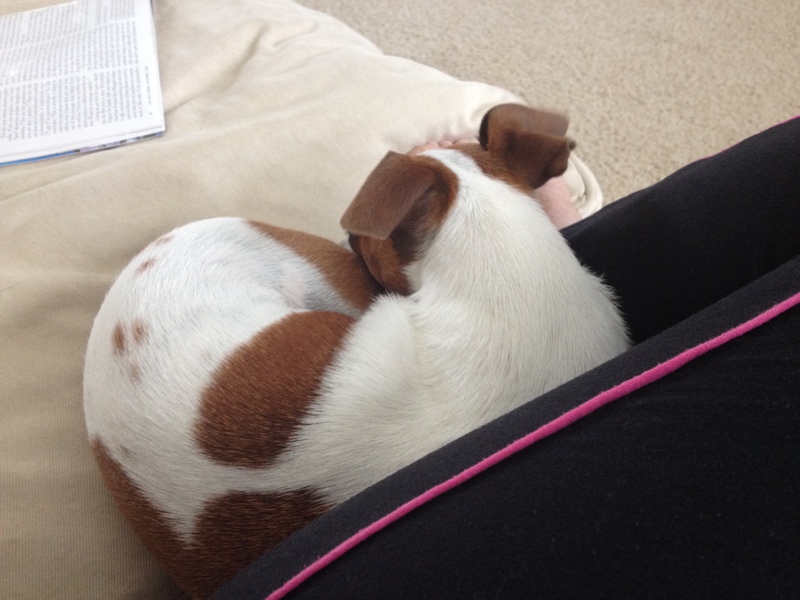 Cody will also have his name listed as he keeps my feet warm while I write.